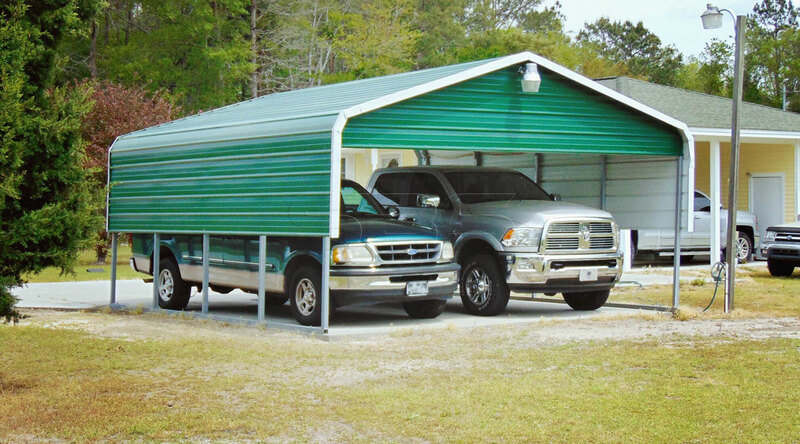 The traditional, classic carport look of a Regular roof style gives you basic coverage. 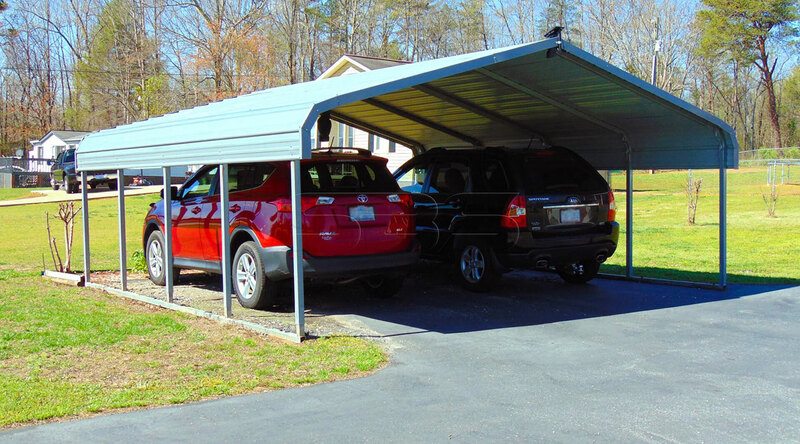 Add 3-foot or 1½-foot panels to the sides for extra protection. This roof style is most popular for RV covers because the rounded peak and shoulders have less roof pitch, giving you a little more room at the top.